With well over 90 years of experience, Dickies has become arguably the top brand in the world for work shirts and other workwear. Starting out in 1922 supplying bib overalls, Dickies has grown and expanded year after year. With a proven reputation for high quality and durability, their full line of items for work and play for men, women, and children go above and beyond expectations. 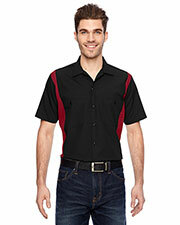 Gotapparel.com supplies Dickies brand work shirts at inexpensive prices that anyone can afford. 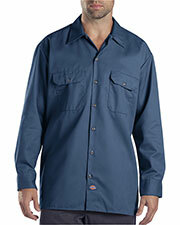 Dickies work shirts are made to be high quality and durable. Built to last all day long and year to year, you can count on your Dickies work shirt to hold up during hard use. Setting a high standard in the work shirt industry, Dickies has worked hard to create a reputation for providing inexpensive work shirts of the best quality that is unbeaten by their competitors. Dickies work shirts are tough and designed to work and play as hard you need. These work shirts, especially designed with a long, hard day in mind, let you worry more about the job and less about how you look. Don’t forget to check out our workwear page for other items like jackets, fleece, and pants.